For the first time in years, Alabama football let someone else decide if they'd be in the running for a national championship title. After five championship appearances in the Nick Saban era, a spot in the playoffs may has felt like a fait accompli. However, after their loss to Auburn last week, Alabama needed help to advance. Now that the college football playoff committee has spoken, Alabama will face off against Clemson for the third time in as many years. 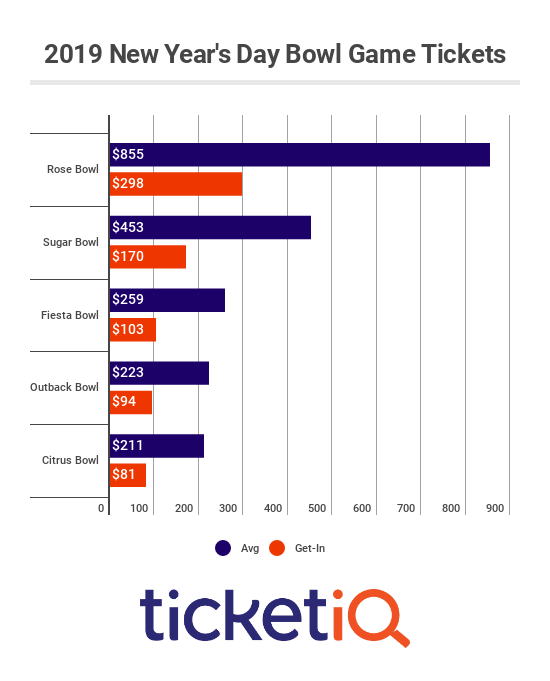 As a result, the Sugar bowl against Clemson has the most expensive Sugar Bowl tickets in the nine years that TicketIQ has been tracking the ticket market. With both teams within driving distance of New Orleans and the Super Done, perhaps it's not a surprise that it's the most expensive Sugar Bowl TicketIQ has ever tracked. It is, however, surprising that it's more expensive than than the 2016 national championship game, also known as Alabama-Clemson I. In addition to being the most expensive Sugar Bowl TicketIQ has ever tracked, it's also the most expensive non-championship game for Alabama. That's behind the 2015 an average price $319, so about half of the game this season. It's also the most expensive Bama bowl game TicketIQ has ever tracked, other than Championship games. The next most expensive was 2015 Sugar Bowl which featured Alabama against Ohio State. That game had an average price of $319, which is about half of the price for the 2018 edition. 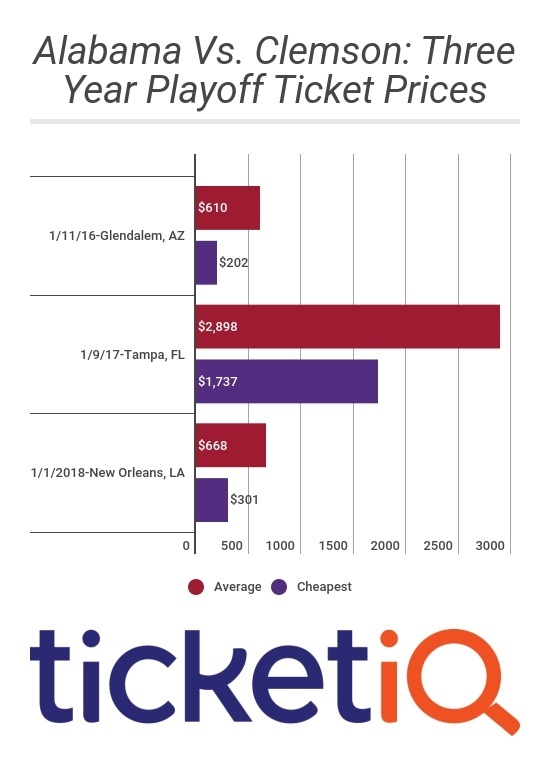 Regardless of which team emerges victorious on January 1st, Sugar Bowl tickets will seems like a relative bargain compare to National Championship Prices, which start from $1,503. If Alabama or Georgia advances, prices could reach level never seen for any college football game.